The 1099 changes attached to the health care reform bill are another kettle of fish. These massively expand the requirements for filing the "1099-Misc" form, which companies use for recording payments to freelance workers and other individual service providers. Until now, payments to corporations have been exempt from 1099 rules, as have payments for the purchase of goods. Starting in 2012, that changes. All business payments or purchases that exceed $600 in a calendar year will need to be accompanied by a 1099 filing. That means obtaining the taxpayer ID number of the individual or corporation you're making the payment to -- even if it's a giant retailer like Staples or Best Buy -- at the time of the transaction, or else facing IRS penalties. In essence, the 1099-Misc is having its role changed from a form for tracking off-payroll employment to one that must accompany virtually any sizeable business transaction. "Just with business travel it would include hotels, rental cars," Henschke says. "Phone service: 1099. Computer service: 1099. Whoever does your postage meter: 1099. You do a little advertising, Yellow Pages: 1099. Your landlord: 1099. You might as well just keep them in your pocket and hand them out as you go around every day." Just what small businesses need in the worst economic environment since the depression. A requirement that they track and issue millions of new 1099-MISC forms. Another unfunded mandate for main street. 16 forth the amount of such’’. The ostensible goal of these new, sweeping reporting mandates is to catch income that is going unreported to the IRS. 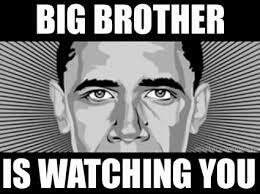 In reality it gives the government an even bigger spyglass to snoop into the detailed workings of private business. The government will be able to track virtually everything a business purchases, how much and from whom (General Motors comes to mind).